Super quick, and super easy. If you prefer dried chickpeas just soak them before hand, and for the tomatoes if you have fresh ones available in abundance use them. Garlic is also another thing I would usually put in here, but not having access to Australian garlic for the moment, most dishes are garlic less. If you have it at home though, whack it in. and whack the lid on for about 10 minutes. Salt to taste and serve with basmati rice or cous cous, a dollop of natural yogurt, a squeeze of lemon and a sprinkling of turmeric. 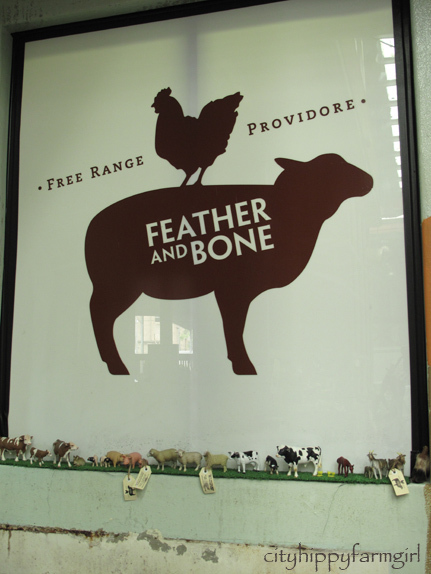 When I was researching what piggy options a city girl had, I discovered Feather and Bone, in Rozelle. 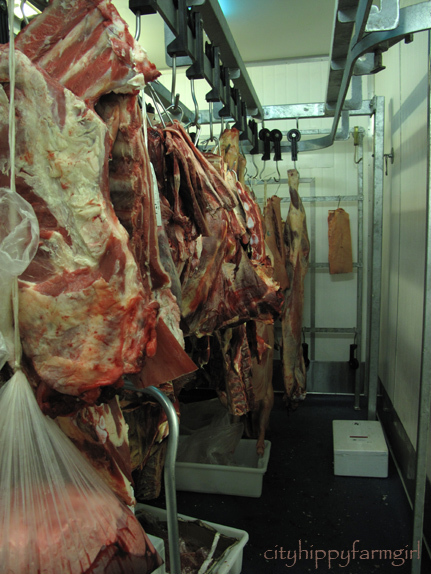 A supplier of sustainably raised meat. I started getting their weekly emails filled with interesting meaty information and what’s on offer at the moment. From there, I went to one of their open days and got to see for myself at how it was all done, coming home with a weighty little number that had cook me up just right, written all over it. I’ve written before about knowing where your meat is from and asking whether you would be prepared to do the killing yourself. Reading back on that post I realised that even in the last not quite 6 months our meat buying habits have changed since then. I’m fine with that, I like evolving. I now very rarely buy any meat from a super market or butcher. 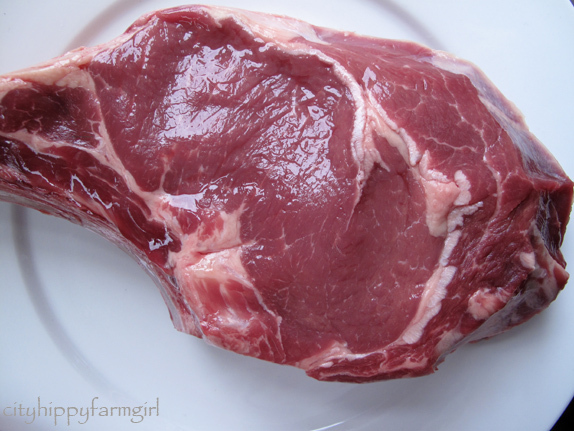 Instead, the meat intake has dropped even less, and the majority of it is now coming from farmers markets. If those markets are few and far between because I can’t get there or the meat isn’t available, then so is the meat eating. Why? Because I really want to know where it’s from. I want to know more of how it was raised before slaughter, who reared it and if possible, what their farming philosophies are like. I simply can’t get this if I’m buying from the supermarket. Meat has been the topic of choice in this fair country of ours for the last few weeks. Ever since the ABC’s Four Corners program was shown about the live cattle export business to Indonesia, people have had things to say. A lot of things to say. The footage was graphic, confronting and got people into action to get things changed. It might have changed Indonesia’s meat eating habits for a bit as the supply from Australia has almost stopped, but would it be enough for people to question their own meat eating habits here within Australia? Could that daily/weekly slab of meat become less? Could it become just a special occasion meal? Now on getting that steak home, I started to sweat a little. Not from the weight of the thing, but the pressure to cook it the right way. (To clarify, I don’t eat steak, which means I don’t cook steak.) This however, was a treat. It had to be cooked just right. I had quizzed Grant, (at Feather and Bone) when I purchased it and then also made a frantic phone call to my friend who proudly has Meat on her bookshelf. Plan put into action and I’m off. Plates at the ready, the steak was brought back to room temperature, salted, seared, into the oven, and then rested for the same amount of time it had cooked for. The pressure was high, the weight of the steak was sitting firmly on my shoulders, and geez, it was a hefty one. No cooked pictures, as that was the last thing I needed was to try and get a ‘good’ picture in the fading light and building anticipation of Mr Chocolate about to cut into his rib eye. But how did it taste? Let’s just say… if Mr Chocolate was about to leave the earth tomorrow and he could choose any meal to end it, this steak cooked by me (*nervous giggle*) is now top of the list. I think that just might be a success. I’m always curious to see what other people are reading. Passing by a young man with a very long bushman beard at 7am on a Saturday morning recently. I had to stop myself from sticking my head upside down, and asking, “what ya readin’ there buddy?” He seemed so engrossed in his book, sitting reading at the bus stop. What was that young man with a long bushman’s beard reading at 7am while waiting for his bus? I love reading, but too often there isn’t enough time in my day. Certainly not enough time to do all the reading that I would like to be doing anyway. 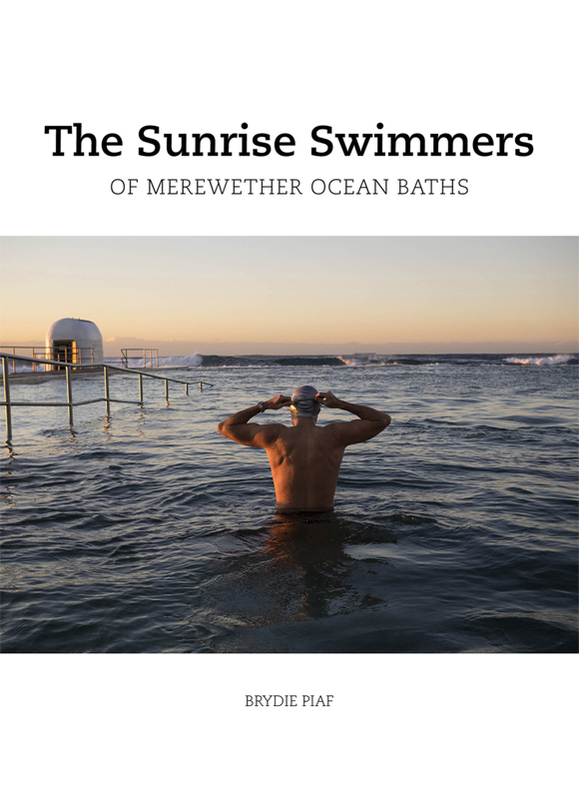 I love reading the Saturday paper, but sometimes I simply have to just not buy it. The pressure to read the thing is too much. Who needs that kind of added pressure? A pile of papers slowly mounting up on the table, taunting me in its silence. If the paper could talk I’m sure it would be whispering. I’m still here…you’ve walked by again and I’m still neatly folded. You know what tomorrow is don’t you…paper day, again. See how the paper taunts me? How a bundle of paper pages does that, I just don’t know. Along with the newspaper building up, my pile of books to read is also silently gathering momentum. The beginning of the year, I had set out with a reasonable reading list that I thought was manageable given the slow rate I was reading at the time. That one book turned into two, two turned into three, three turned into ten. I can’t keep up. Have I finished any of them? Maybe one or two… But generally they are all half read. I’m simultaneously reading six books. Now this, probably isn’t the most clever way to read a book but it’s how I’m slowly creeping through them all. There is the book that doesn’t read particularly well, but I really want to get though it as I think it’s important. There is the light reading book for when I’m so tired just before bed that I can still read a little with an eye stuck shut for want of sleep. There is the informative book that needs to be read with a clear mind, while taking down the odd note here and there. There is the escapism fiction that has essentially only been opened and closed without a proper word been consumed. There are the numerous cookbooks that need to be poured over before I can satisfactorily say that yes, I’m utilising them properly. There is the green building magazine that I adore every page of, so don’t want to flick through unmindfully as by doing that it would almost seem an insult and not do the pages proper justice. Then there is the ever growing list of books that I really want to read next. My books are pressuring me just as that taunting pile of newspapers. Thankfully these Banana Oat Bars don’t give out that kind of pressure. Do you ever feel pressure from paper goods? Mix all the ingredients up in order. 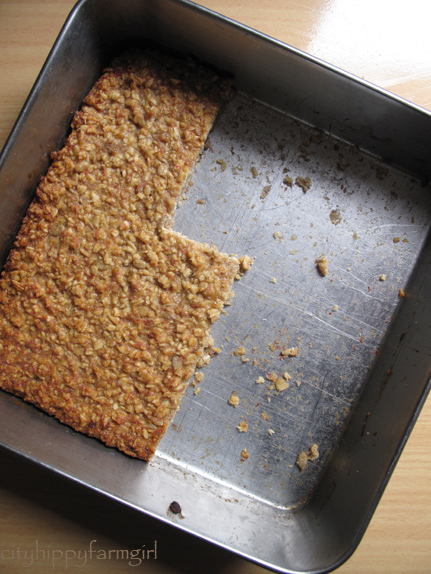 Press mixture into a greased pan (I used 23cmx 23cm) and bake at 180C for approximately 45 minutes. 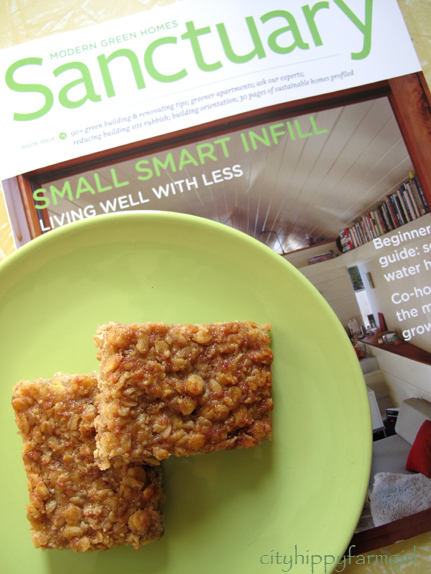 Super easy and perfect to nibble on… while you are reading. In a food processor pulse flour and butter until resembles bread crumbs. Tip out into a bowl and add yogurt and vinegar. 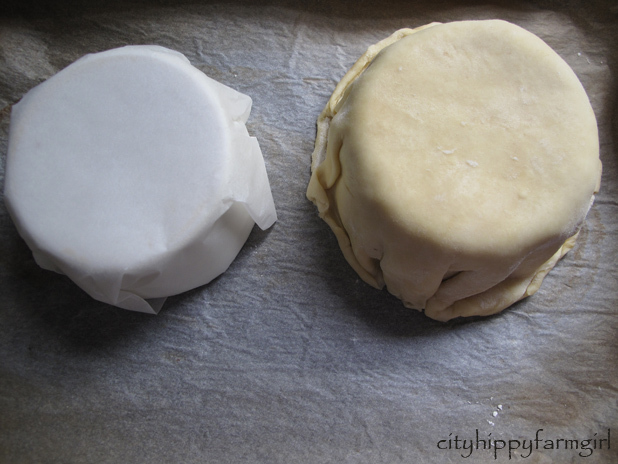 Mix through and then knead until a smooth consistency and then pop into the fridge for awhile. Take out and roll to the thickness you want. 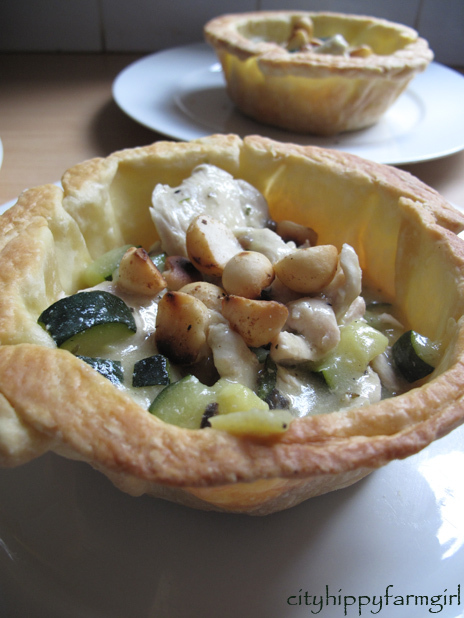 With a ramekin that’s been turned up side down and wrapped with baking paper, drop it over the top and squish it in a bit. Then into the oven at about 180C until golden. (I used a spatula about half way through the cooking to flatten the top (which will be the bottom) you don’t have to do this though. 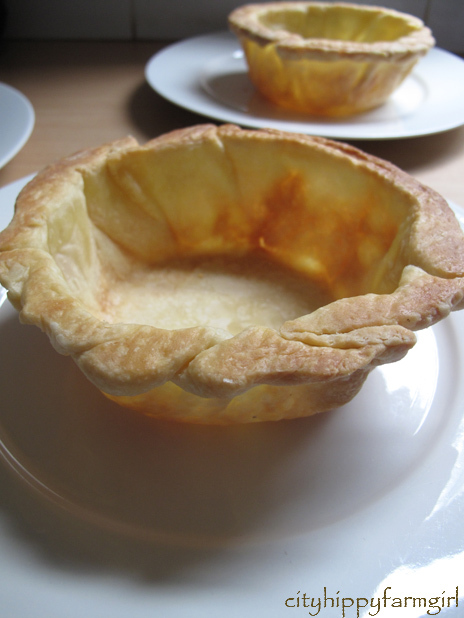 When they are cooked, just flip it gently out and fill with your favourite pie flavours. cook it all until it thickens a little and smells lemony chickeny. Pop spoons of the mixture in to the pie shells and add some toasted macadamias or whatever other nut you may have locally. 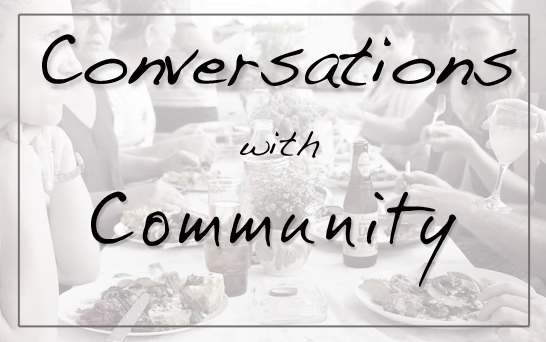 I’ve waffled along on a few other people’s blogs recently about a few things food related. Things that I have felt are important, and before I know it my fingers have typed out half an essay. Rather than completely taking over someones comment sections saying what I think I’m going to try to rustle up a few brain cells and see if I can form an opinion here on my own blog. * I think it makes sense to eat seasonally. * I think it makes sense to try and get a lot of your foods as locally as you can, (if you can). * I think it makes wonderful sense to know what you are eating, and where it came from. * I think it makes a huge amount of sense to know how to cook. You don’t have to be cooking like a chef, but a little cooking knowledge can go a long way. You need to eat, so maybe you need to cook. Seeing pre-cooked rice, and avocado in a tube in the supermarket makes me sigh. Is this becoming our normal? Cooking rice, surely is no more difficult than learning to tie your own shoelaces, (maybe not at the same age.) It’s tricky to begin with, gauging the right way to do it, but then with a little practice it becomes second nature and you just do it. It’s never too late to learn to cook. My grandfather in his late 70’s started to cook, and I’m really proud that he has taken that on. Not out of necessity, as my grandmother still produces the majority of the meals, but out of interest. A school fundraising cookbook landed on his lap, and something in the bottom of his belly was ignited. He started to bake. Under the watchful eye of my grandmother, he starting producing snacks and meals and getting an obvious enjoyment from it. I think he also cottoned on to the fact that if he cooked, he could cater things to his own taste buds and not what someone else wanted him to eat. Sweeties! Simple cooking doesn’t have to be tasteless. I’m sure some of my most stand out meals have been the ones with the least ingredients. Zucchini quickly cooked in some diced local garlic and olive oil, with a little sourdough on the side and I’m a happy woman. For a lot of lucky people there is an amazing amount of choice of foods out there. Simple doesn’t have to mean an un-interesting diet. Olive oil, garlic, asian/middle eastern style spices, and legumes can be cheap and all help in making a meal mind blowing within minutes. Choice is a wonderful thing. I really value the fact that I have food choice and I don’t want to feel indifferent about those choices. Celebrity and competitive cooking shows aren’t a bad thing. In prime time television in every corner of the globe there is probably a cooking programme going on. A lot of people have embraced the celebrity chef and televised cooking competitions. If this encourages people to cook, to jump off the couch and head towards the kitchen, surely it can’t be a bad thing. A celebrity chef as a pin-up idol seems to be a much nicer alternative to some C grade celebrity famous for being famous. If I had a tween, I would much rather posters of Jamie Oliver on the wall than ….some toad who just got arrested again. There will always be some negative things to watching these programmes, but I really think the postitives far out way. I’ll take watching and learning how to cook a souffle over another dead body in CSI something or other any day. Knowing how to cook helps with staying on a budget. Knowing how to cook and stretch the ingredients that I have, has taken time and practice, (and still with much more learning to go.) Knowing how to cook gives you cooking options. Cooking to a budget, also makes you resourceful with ingredients. I’m sure that as a family unit we are spending less on food now than when Mr Chocolate and I were Monkey-less. It bugs me serving up the same meal for 3 consecutive nights, I lose interest and so do The Monkeys…But, I do get a kick out of ‘upcycling’ the meal into something else. I also get a huge kick out of being able to preserve the seasons. Jams, chutneys, marmalades are staples and used daily in our family eating habits. Jams are used to sweeten homemade yogurt, marmalades to jazz up toast and chutneys to take a simple dinner to another level. In time to come, (with more space and more access to produce) I would love to have preserved fruits, tomato sauces, passatas and other goodies all lining my cupboards, but for the moment I’m happy with what I am doing. They aren’t tricky, and it saves us money. Oodles of it, I’m sure. Having my own vegetable garden would be lovely, but… I can’t grow more than a few token extras where I am. So, by choosing to buy from local farmers markets, or using CSA boxes when ever I can, (and it’s convenient) it helps with buying locally, eating fresher and knowing what’s in season. When I shop at the local fruit and vegetable shop or supermarket, yes, it’s convenient by being all in the one spot, but I wouldn’t have a clue whats in season. Not a tooting clue. The internet is full of recipes. Lots of them. You can learn how to make just about anything you could possibly imagine at the click of a button, and this I think is rather lovely. 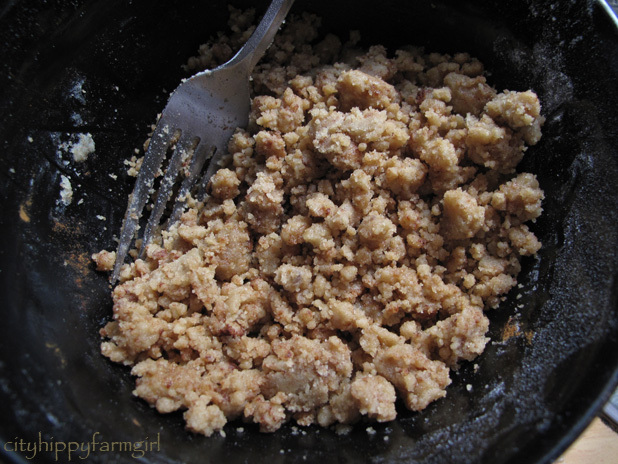 There are so many variations on the humble crumble. It can be a quick an easy dessert stand by, and without it in my life there would be a huge crumbly hole. So many combinations of deliciousness! Then bake it all at 180C, until golden. Cheap to make. Healthy to eat. And tasty. 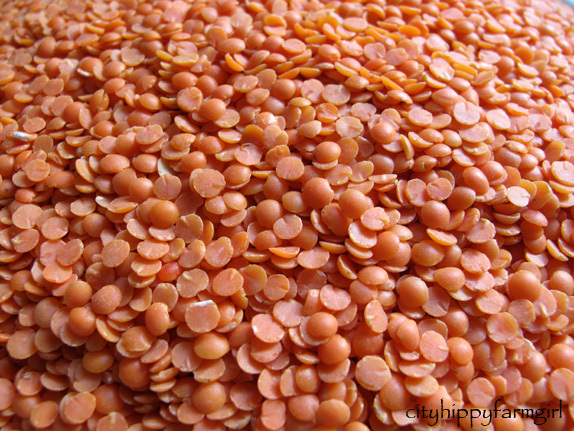 I will make a very basic dhal and then dress it up with what ever I have going. 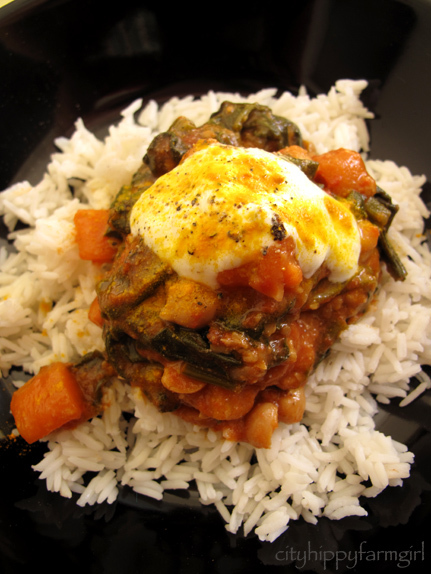 This week was served with some basmati rice, a dollop of natural yogurt, a spoonful of tomato chutney and some fresh chopped cucumber/ tomato. Use what ever you have though…some chilli for a kick in the pants is always good too. 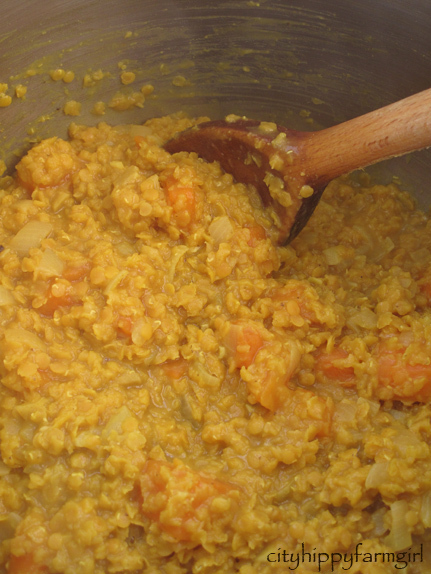 stick the lid on and keep the temperature on low until the the lentils have cooked themselves soft and the sweet potato* is cooked through. You can use any vegetable that is seasonal. I’ll quite often use pumpkin, sweet potato or silverbeet. 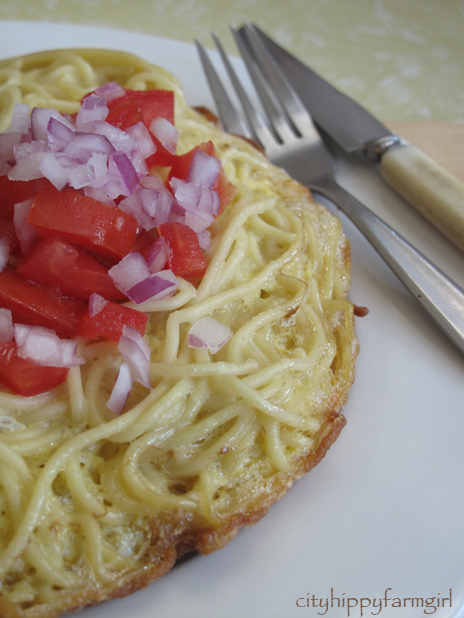 Pasta frittata. So darn tooting easy, it’s not funny. About 5 minutes before you want to eat dinner. Get that left over cooked pasta out of the fridge. Depending on how much pasta is there, add a few eggs. Use a fork to mix it through, you want the pasta well coated. 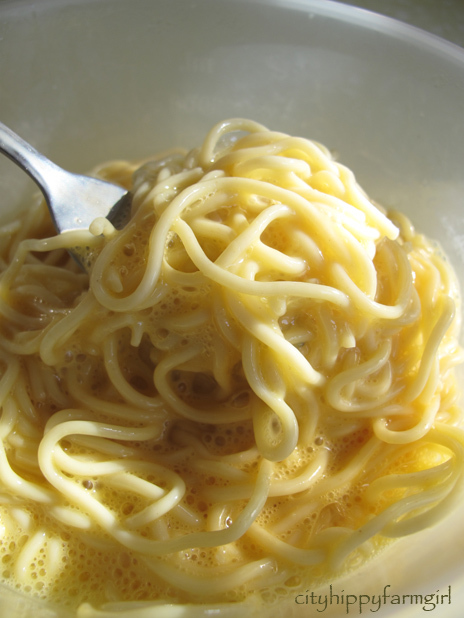 In a thick bottomed frying pan add a good couple of slurps of olive oil, then pop in your egg pasta. 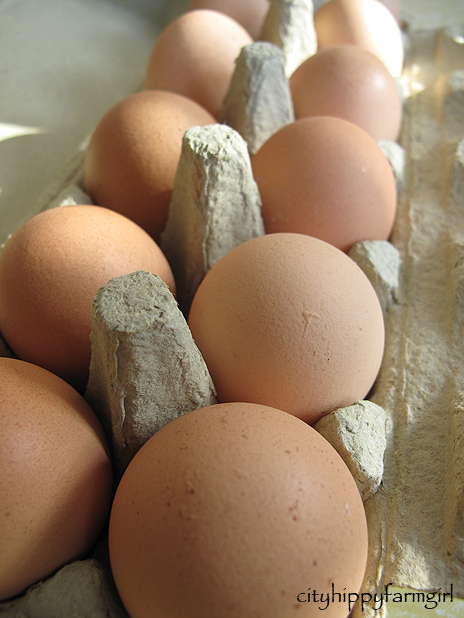 Spread it round until it’s even, whack the lid on, medium heat and it’s ready when there is no runny bits of egg. Want a bit more taste to it? Add any cooked vegetables that are also lingering in the fridge, (garlic roasted vegetables, steamed broccoli, garlicky zucchini etc). What ever you’ve got, stick it in with the pasta and egg mixture, and pop that lid on. Or keep it plain, and serve with a seasonal salad. As this is a very budget friendly, minimal effort, easy peasy, healthy kinda dinner. It will leave ample room to savour the Chocolate Brandy Layer Cake for later. As a kid I was rather attracted to anything with custard in it. My mum’s egg custard using our backyard chook eggs was a firm favourite, along with a coconut custard pie that she would sometimes make. Always offering to ‘wash’ the pot for her, I would scrape out every last tiny spec left on the bottom of the pot. This was the beginnings of building my strong custard foundations. Outside the home, if we ever went to a bakery it would always be a custard tart, or a custard slice (vanilla slice) that I would choose. There was no need to consider anything else as clearly custard reigned supreme in the bakery choices. These days my custard consuming as been curtailed a little. The palate is a little more picky and the metabolism a little more sluggish than my frantic teenage appetite for all things custard. Although I did recently introduce Little Monkey to a beautifully delicate French patisserie custard slice. He was keen. As he elbowed his way through to the last portion that I had stupidly been slower to eat. Looks like the little fella might be following in similar custardy footprints. 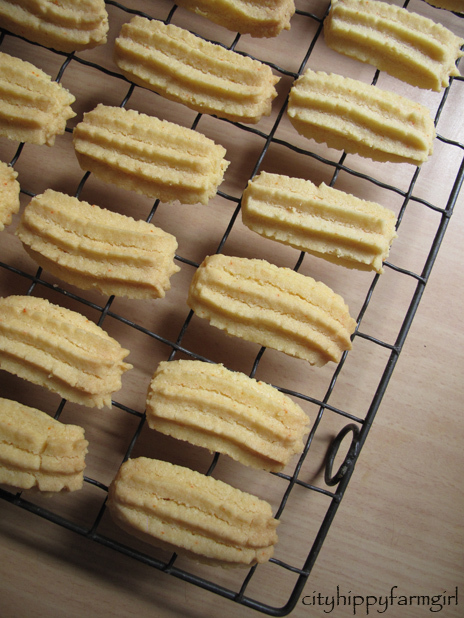 I used a piping bag to shape these, or you could easily roll them into balls and squish them down as well. 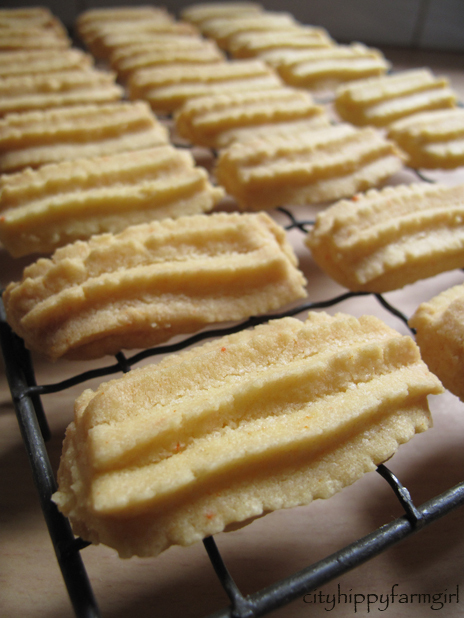 Bake at 180C for 15-20 minutes, or until a light golden colour. I knew in my mind the sort of cake I wanted to make. 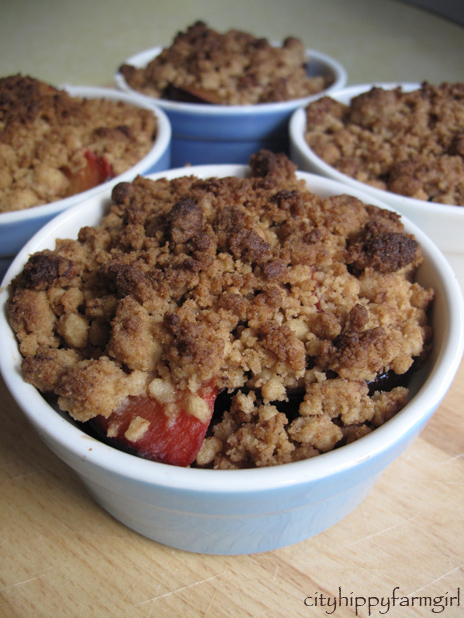 Not too sweet, using half plums, and perhaps a little almond meal in there. Could I find a recipe within my collection that was even remotely like it, no. Not a whisker. I didn’t want to trawl the internet, so it was back to hack baking. I’m certainly no stranger there. Springform pan greased and lined with parchment paper on the bottom. 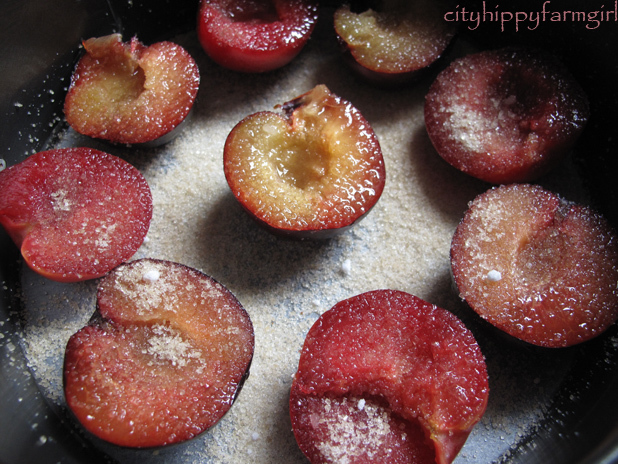 Cutting 5 plums in half, lining them up round side down and then sprinkled with a tablespoon of sugar. 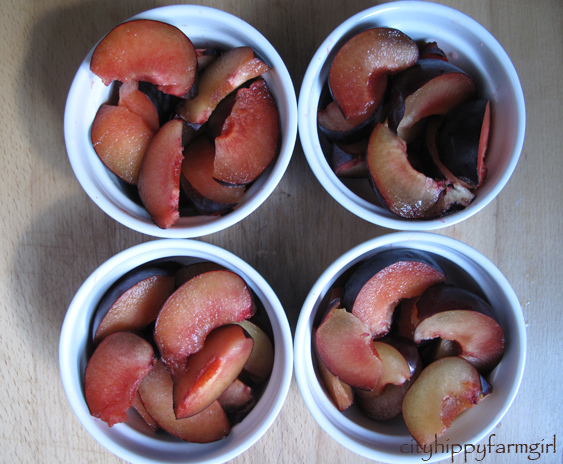 Spoon mixture on top of plum halves and bake at 180C for approximately 1hour 15mins. Now let’s address the elephant in the room. It doesn’t look pretty. It really doesn’t. I couldn’t photograph its prettier angle, as there was no prettier angle. The food stylist was clearly out for a long lunch. 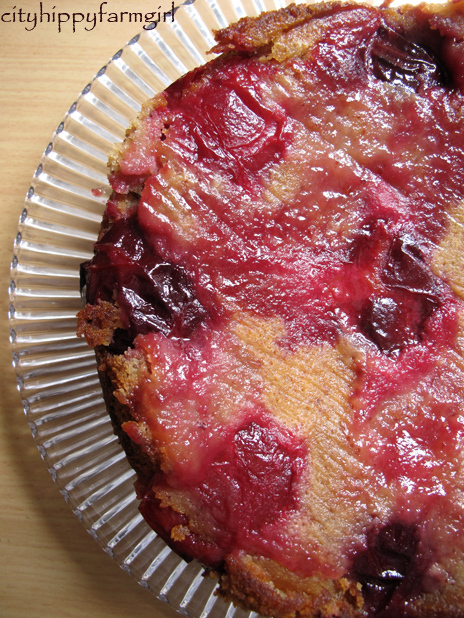 It is what it is, an unattractive tasty plum cake. That’s ok though, these things happen in every day cooking. * Edit. I forgot one litttttle thing. I flipped the cake. So the bottom is now on the top. If you would like to see how an unflipped cake looks, read on down in the comments and you will see Keri’s superb looking cake she made. 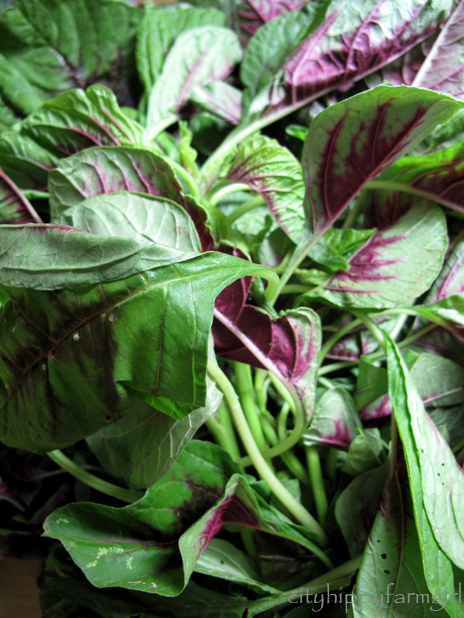 Red Amaranth is a delicious leafy vegetable that I had no idea what to do with. Lifting the lid of my Foodconnect box, sitting pretty up the top of the vegetables, I first wondered what it was and then what the devil I was going to do with it? Plenty it seems. It’s used in Asian and South American cooking and can easily be used as a substitute for spinach or any other leafy greens. stick a lid on it and let it wilt down. Team it up with a bowl of basmati rice. In the flat bottomed wok, crack an egg. 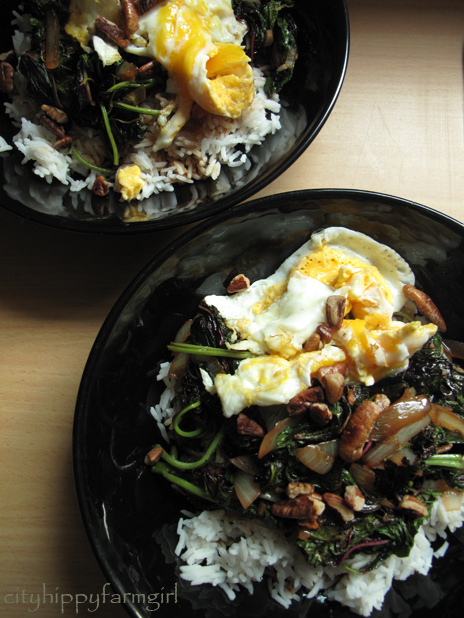 Cook it through, and pop it on top of the rice and amaranth (leafy greens). Back to the wok, add a small handful of local nuts (sesame, pecans, peanuts, whatever you have in stock…). Once toasted add to the top.